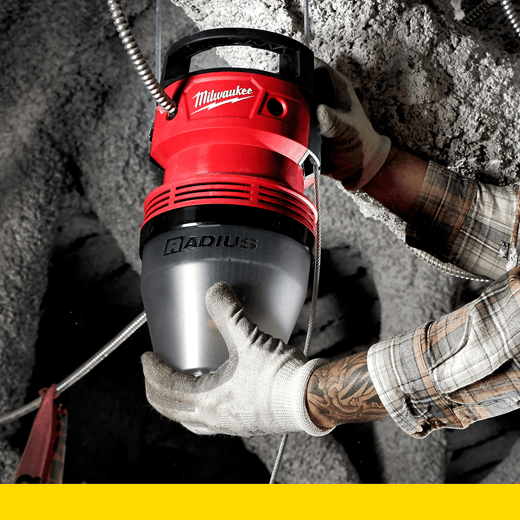 The RADIUS™ Temporary Site Light is an easy-to-set-up job-site light that can instantly illuminate the work space with 7,700 lumens, exceeding the performance of existing 105-watt fluorescent lights while consuming 30 percent less energy. Users can wire more lights per circuit on any voltage range between 120 and 277 with a quick-wire universal power supply. Once set up, the light requires no maintenance, and its high-impact construction ensures it will survive the toughest job-site conditions. The RADIUS™ light features an optical design that delivers a consistent beam, optimized color temperature and true representation of color detail, leading to a more productive work area. It can hang from virtually any overhead area with its convenient hanging cable that features spring-loaded cable retention so the user can speed up the installation process and easily adjust the height of the light.